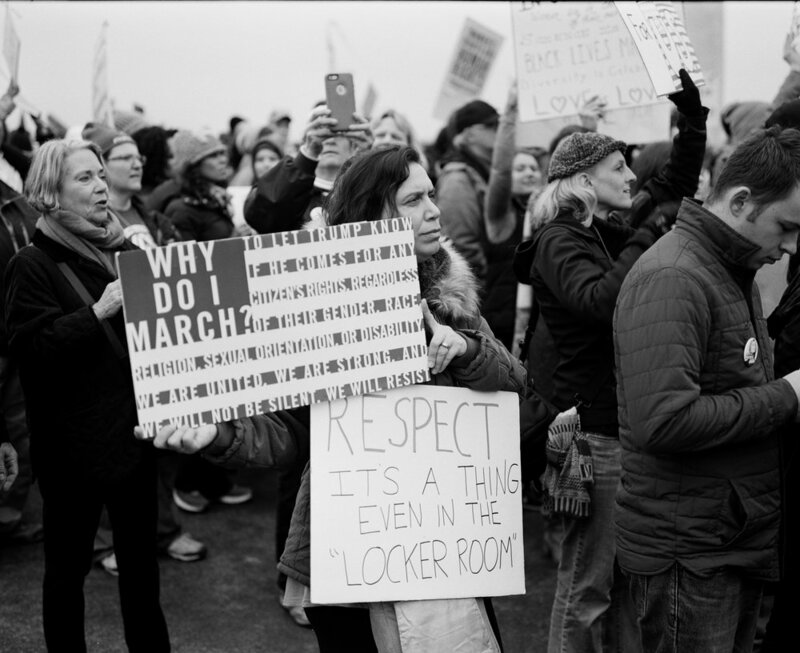 I've been posting photos from the inauguration for weeks, but here are the shots I took on film, using one of my medium format cameras. The sheer size and heft of these cameras means I don't do much "in the moment" photography. Instead, I focus on more composed work, and in this case, portraits. My method is straightforward; I walk up to people, and ask if I can take their picture. 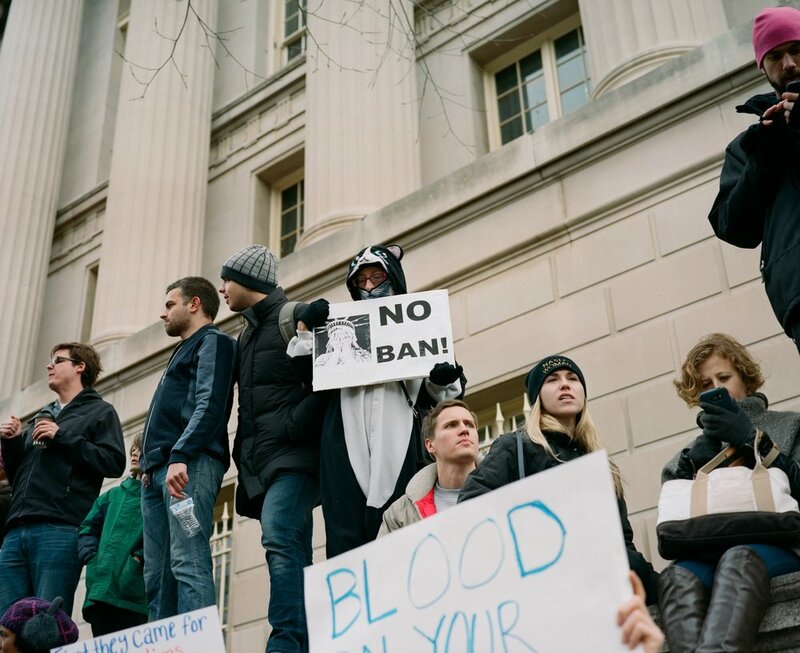 These photos come from downtown Washington during the inauguration; the National Mall during the Women's March; and the White House during protests in the wake of the Muslim ban. All but the last two are composed portraits, in which I spoke to my subjects and gave them a few directions before snapping the photo. I used a Fuji GW670 with Kodak Tri-X film for grayscale and Kodak Portra for color. This first batch is from inauguration, I tried to get a mix of Trump supporters and anti-Trump protesters. This next batch comes from the Women's March. It took me a solid two hours to shoot these five photos, but then, I get very picky when it comes to shooting medium format film. 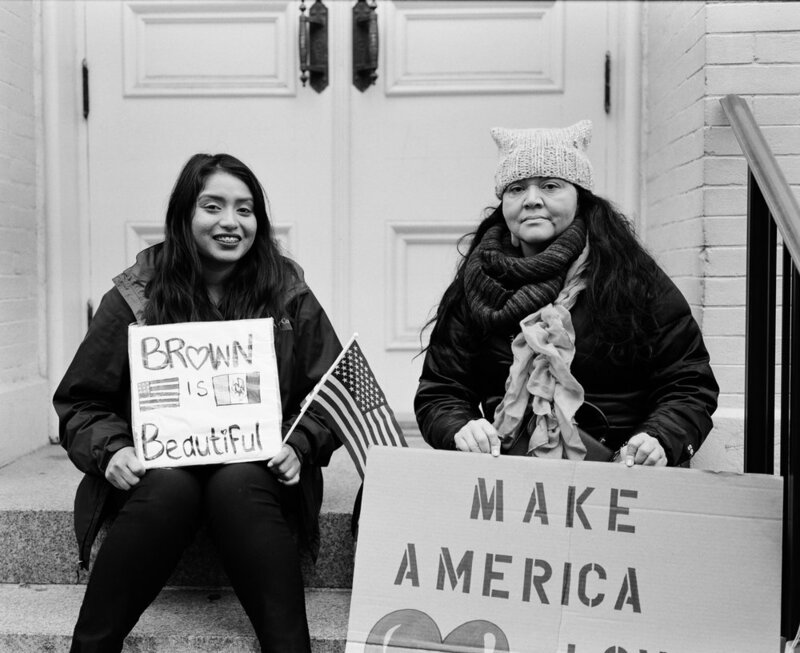 And these last two were at a protest near the White House. Not portraits, but I like these two shots nonetheless.